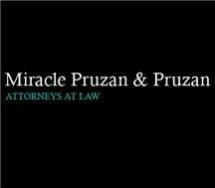 The names Miracle and Pruzan have been familiar to those involved in personal injury law since 1948, when Howard Pruzan began practicing with Hugh Miracle. The late Mr. Miracle was a nationally known plaintiff's personal injury lawyer before his retirement in 1979. The firm continues to maintain its presence in personal injury and malpractice law on behalf of injured persons. With more than 50 years of practice in all facets of plaintiff's personal injury work, Howard Pruzan was one of the most experienced attorneys in his field. His son, Steve Pruzan, has practiced with the firm since 1975. He primarily concentrates on medical negligence cases including those involving birth injury, paralysis and death.